As sure as the sun rises and sets on Mallorca, there’s going to be a new Love Island contestant on Sunday. 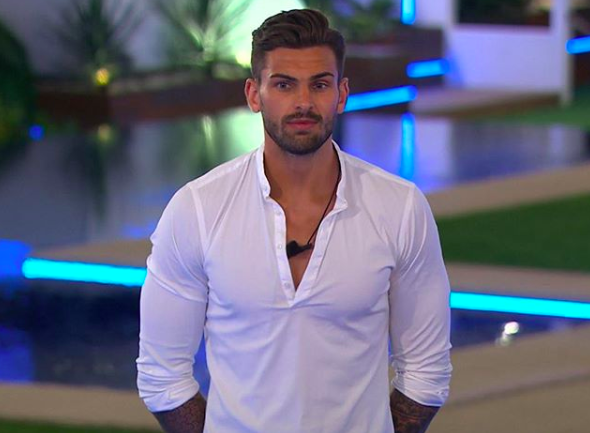 But, to the delight of viewers eagerly awaiting some drama which doesn’t involve Eyal, Hayley or her awkward exit, her arrival will come as a bit of a shock to original Love Island-er, 22-year-old Adam Collard. So what will newcomer, Ellie Brown make of Adam’s muggy behaviour? Well, turns out she’s probably used to it. The 20-year-old from Newcastle knew Adam outside the villa through his ex, Claudia Proctor, and is apparently planning to confront the Geordie personal trainer about how he cruelly dumped Claudia over her ‘insecurities’ in their relationship. I can imagine it’s going to get very heated in there. Ellie’s angry about how Adam broke it off with Claudia. She’s not happy about him blaming her friend’s insecurities as his reasons for dumping her, so will definitely pull him up about that from the off. The source continued to stir the pot from the outside, saying because Ellie knows Adam really well she’s not going to hold back, so things could get very tense while the wannabe celebs laze away their days on a swanky holiday in the sun. I think she’ll be upfront about telling him how he’s coming across on the outside because so far he hasn’t treated the girls very nicely in there. Ellie Brown – and fellow newcomer Zara McDermott from Essex – will be shaking things up among the couples after Hayley and Charlie got dumped tonight. Samira Mighty and Dr Alex George remain on the show despite only being coupled up as friends. Ellie described herself as ‘cute, but psycho’ ahead of her arrival in the villa and said she’d fall in love with a slice of bread if it said nice things to her. It might sound bad, but a lovely seeded loaf probably has more personality than all her human potential love interests in the villa combined – so silver linings. Zara said she’s a ‘catch’, and has brains, but goes for good looking guys who are ’emotionally unavailable’ = and unnecessarily admitted the VT made her sound shallow. They need to act right and I’ll be the best girlfriend ever but if they treat me bad, I’ll make their life hell. Listen up, Adam. Or just follow the script. Whatever floats your boat. Meanwhile, most of the viewing public remains utterly, hopelessly addicted to homogeneously pretty people doing unequivocally ugly things to each other on the beach. UNILAD asked a professional why on earth we’re so into it. Love Island continues every night – yes, every single night – at 9pm on ITV2.